Derby – Hollybank – Blue Tier and more! 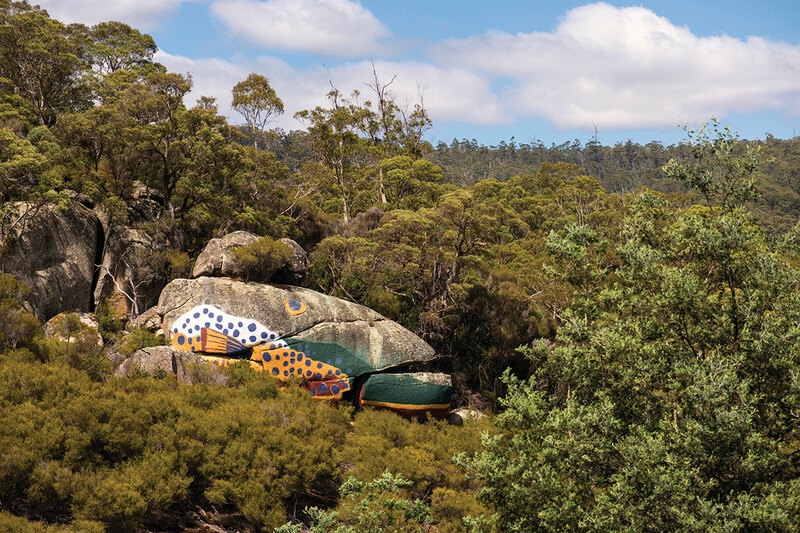 An epic 3 day All Mountain trip to the North East regions of Tasmania. Picture postcard perfect rain forrest filled with single track! All three days will be action packed with new zones, different styles of riding and terrain. Shuttles at each zone to maximise descending time! Riding zones: Derby – Blue Tier – Hollybank – and more! These trails are nothing short of spectacular with waterfalls, rock features and the biggest trees you’ve ever seen! We will complete a couple of amazing loop rides as well as plenty of shuttles on some of the sickest tech and jumps trails. No trails are compulsory, we design it so you can ride what you want. Some gems that stand out are Air ya Goin, Trouty, 23 stiches, Detonate. 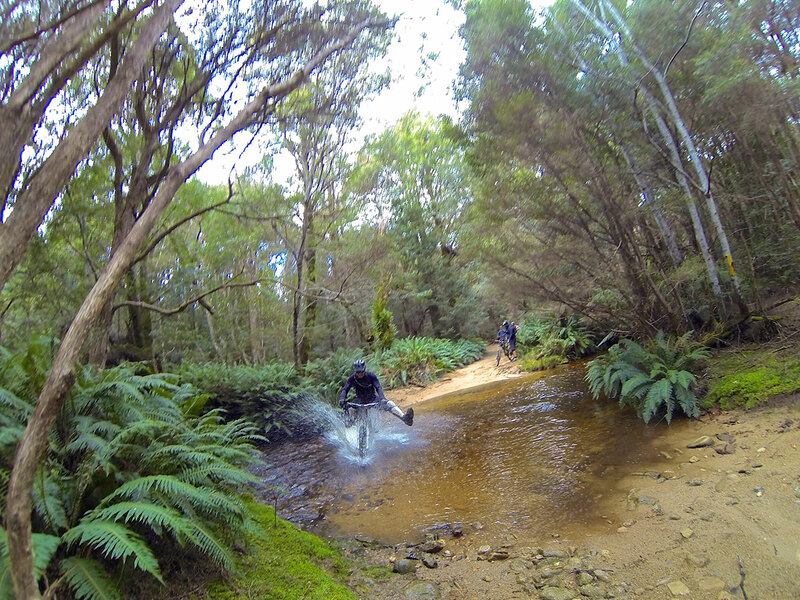 Home of the mighty Juggernaut trail which is quickly gathering speed as one of the funnest descent trails in Tasmania. 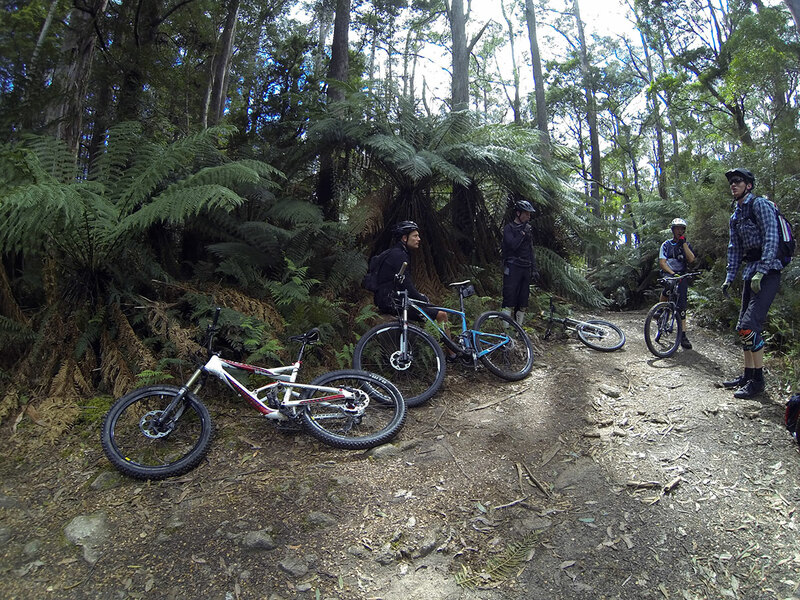 Hollybank has a bit of everything, raw rocky outcrops, loam berms, rainforest and much more, and thats just on 1 trail!! At this location we will shuttle a 10km descent which will have you begging for more. The Blue Tier descent is insane. It has something for everyone. It’s got some climbing, it’s got insane scenery, its got flow, it’s got crazy fast descents, it’s got big and small jumps and more. It’s a roller coaster of a trail that will have you smiling ear to ear by the end. And more…. 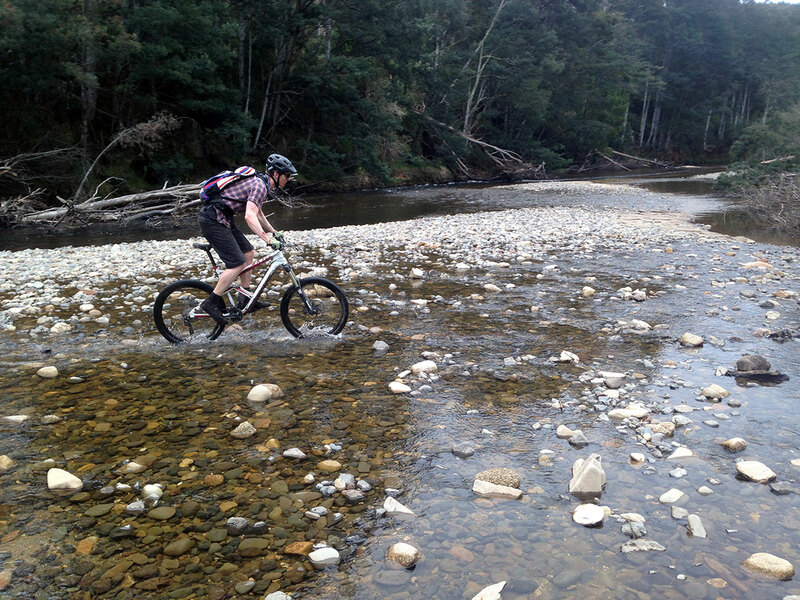 We will be stopping in to ride a lesser known trail area which involve super fun descending/shuttle-able trails. You’ll have to be there to find out more! Flight or Ferry to Tasmania – We will give you a recommended flight/ferry. You book your own ticket.